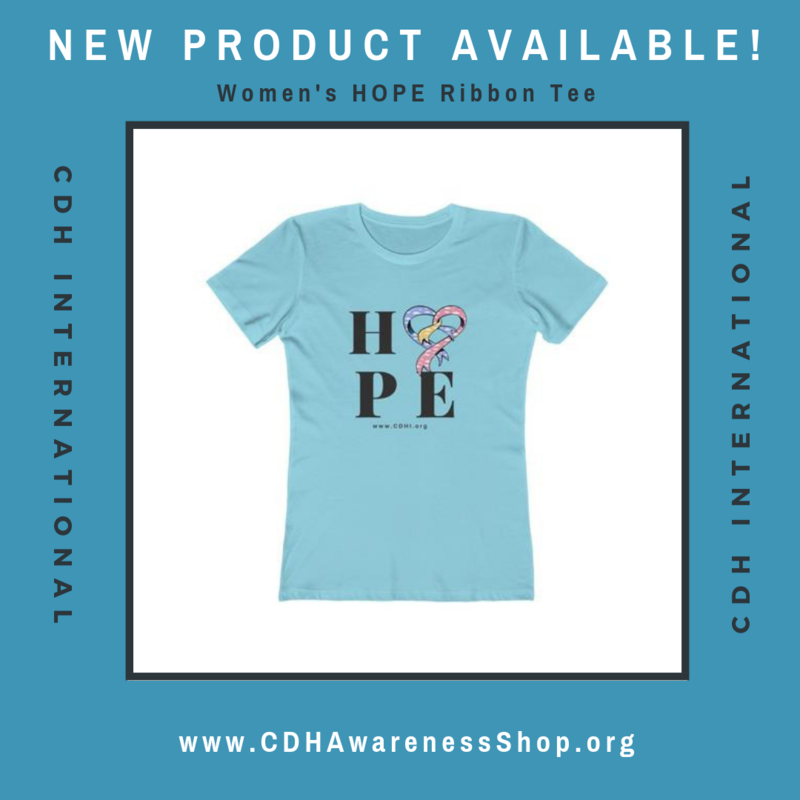 CDH International | New Product in Online Store: Women’s HOPE Ribbon Tee! New Product in Online Store: Women’s HOPE Ribbon Tee! 04 Sep New Product in Online Store: Women’s HOPE Ribbon Tee! Click HERE to see our newest addition to the CDH Awareness Shop!